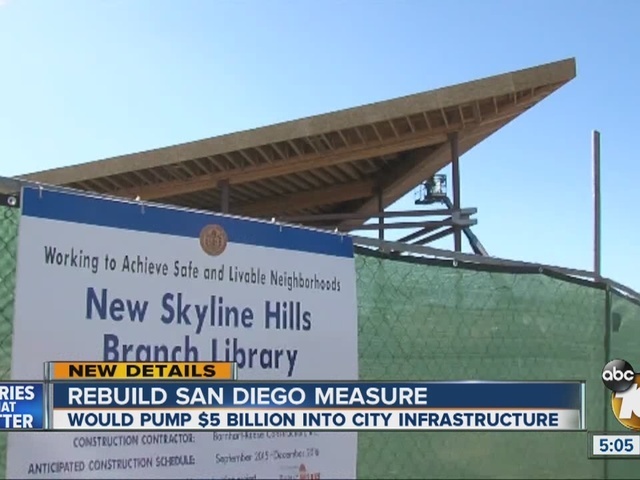 SAN DIEGO – Mayor Kevin Faulconer is asking San Diegans to allocate up to $5 billion for infrastructure projects over the next three decades. The mayor is requesting that the San Diego City Council place a measure on the June ballot that would allow voters to dedicate funding to street, park and neighborhood improvement projects for the next 30 years. The $5 billion initiative, called Rebuild San Diego, would be funded from three sources: the sales tax, general fund growth and pension reform savings. There would be no tax increases, Faulconer said. 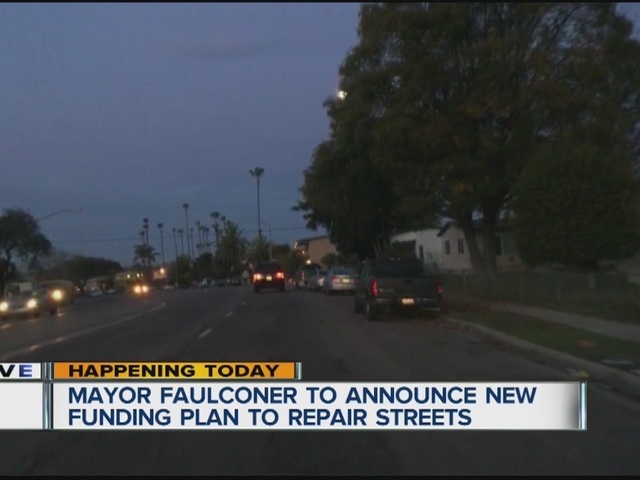 Faulconer announced the plan at a news conference Monday outside City Hall with former Mayor Jerry Sanders. The City Council will vote Tuesday afternoon on whether to place Rebuild San Diego on the June 7 ballot. The language for the measure will be drafted by the San Diego City Attorney’s Office.